Stay tuned for our special plista blog series, “10 Years plista!” Here, you will find specialized content attuned to our ten year anniversary. Topics will include the digital advertising industry, interviews from plista experts, and fun tidbits about plista. We will also share throwback campaigns, our history, and much more! To kick things off, we have an overview of native advertising with plista in the last ten years. Let us have a look! In 2008, plista was founded by Dr. Dominik Matyka, Christian Laase, and Andreas Richter. What began as an SaaS provider of recommendation services for publishers soon transformed into a development of various special formats, particularly, native ad format. Although a startup, plista was well on its way to becoming a global platform for data-driven advertising. Thriving to earn a promising standing as a premium editorial environment, plista has strived to build its technology combined with its unique service to offer advertisers and publishers a direct, single-source access to a broad portfolio of native solutions. Over the last ten years, the small, yet dynamic and humble beginnings of plista would soon grow into an incorporated company with a unique company culture. Over the last ten years, plista’s technology has been developed into what is now our proprietary real-time Recommendation Technology. Developed in-house at the heart of plista, our technology continues to greatly contribute to the native advertising industry. This is through our precise user targeting powered by data. By focusing on a better user experience, plista’s data enabled the company to offer one of the first types of native ad format by showing ads through users’ browsing and buying behavior online. The abilitiy of plista’s algorithm to analyze user behavior had struck a chord in delivering relevant article recommendations and advertisement for individuals online. Throughout this decade, plista has grown immensely, both internally and externally. With over 180 international employees at our headquarters, 40 employees in our global offices, markets in over four continents, and an abundance of newly-developed products, plista is going big and will only continue to do so. By 2014, plista became a part of the WPP Group, which is currently the world’s largest advertising holding company. Here, plista reached internationalization and began to grow globally. To support our ideas, services and developing technology, plista expanded by acquiring a company, Linkpulse, and by partnering with Criteo and AppNexus. In 2015, plista made a strategic alliance with Xaxis, the world’s largest programmatic media and technology platform. 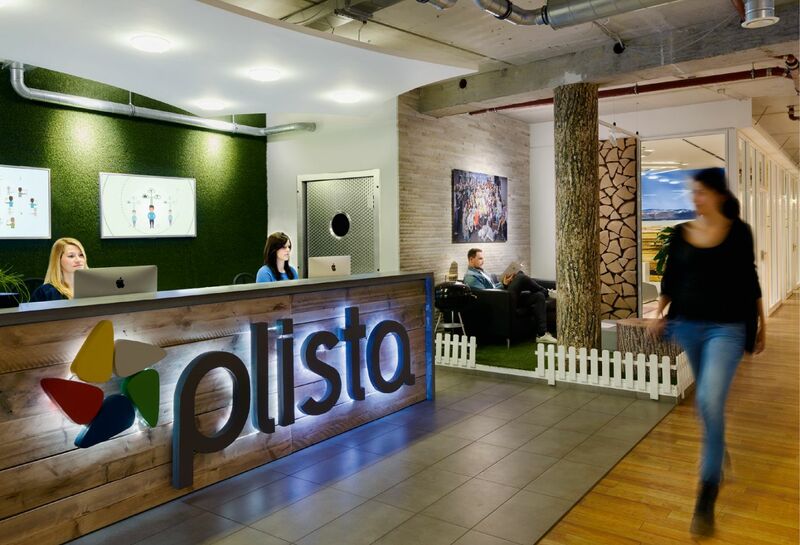 Since 2016, plista has announced its rollout of going native programmatic and has since then continued to grow worldwide. plista has always been passionate about technology and media since day one. We also strive in providing an open, friendly, and goal-oriented environment. Our economic, social, and ecological values have continuously shaped who we are as a company. This has been reflected in the past ten years. Both internally and externally, plista strives to radiate a positive, effective, and friendly culture. We want to preserve our startup culture in the office while moving forward as the global platform for online marketers and publishers. In 2016, plista launched market entry in China, USA, Russia, Sweden, Turkey, and Singapore, just to name a few. This illustrates our drive to further grow and make an impression in the industry while maintaining our plista spirit. plista’s unique, full-circle service will continue to stay. We would like to get closer to our clients worldwide and overall help provide a better online user experience. 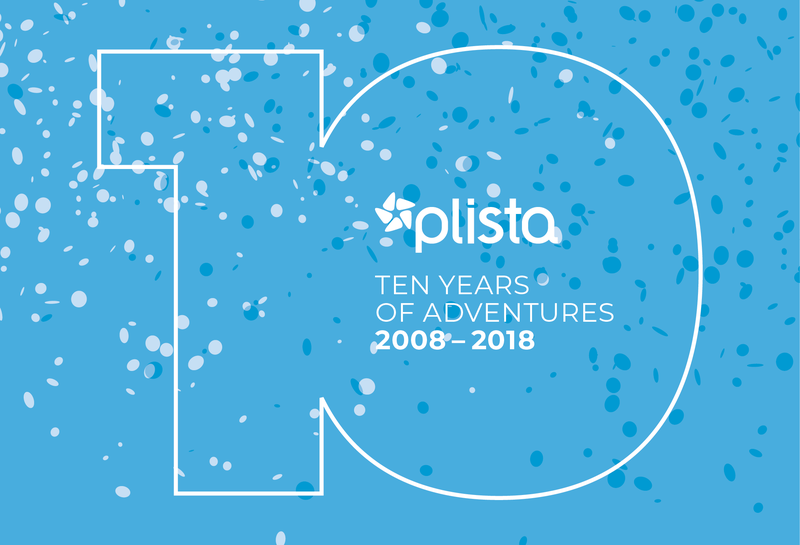 Stay tuned for part two of our “10 Years plista” blog series to learn more about plista and in celebrating our 10 year anniversary!